Quality products begin with superior molds. Precast Designs' molds are made by our own craftsmen who can replicate your architect's custom design features. Elements are combined to create unique designs that accentuate architectural features of your buildings structure. Each product is made to order with custom color and finish. 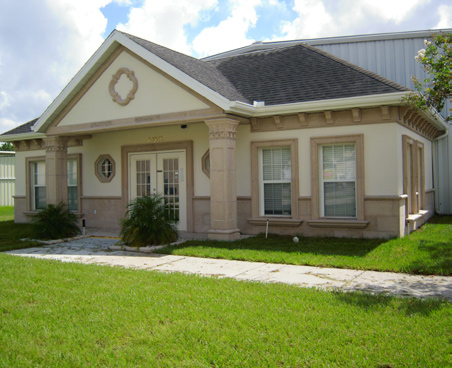 A family owed business located in Central Florida since 1982, Precast Designs is about more than just concrete. It is about long term relationships with our customers and a deep understanding of the products we offer. Dave loves the technical aspects of our work along with the meaningful relationships he's built with our customers over the years. When not working he enjoys watching basketball and golf on TV and spending time in NC with family. Growing up in the Precast business joining the team was a natural fit for Rob. He's taken on many roles during his years! Rob is the day to day face of Precast Designs. When not at the shop or on a customer call Rob and Morgan can be found riding the trails or spending time with family.